Gabe Brown is one of the pioneers of the current soil health movement which focuses on the regeneration of our resources. Gabe, along with his wife Shelly, and son Paul, own and operate Brown's Ranch, a diversified 5,000 acre farm and ranch near Bismarck, North Dakota. The ranch consists of several thousand acres of native perennial rangeland along with perennial pastureland and cropland. Their ranch focuses on farming and ranching in nature's image. The Browns holistically integrate their grazing and no-till cropping systems, which include a wide variety of cash crops, multi-species cover crops along with all natural grass finished beef and lamb. They also raise pastured laying hens, broilers and swine. This diversity and integration has regenerated the natural resources on the ranch without the use of synthetic fertilizers, pesticides, and fungicides. The Browns are part owners of a state inspected abattoir which allows them to direct market their products. They believe that healthy soil leads to clean air, clean water, healthy plants, animals, and people. Over 2,000 people visit the Brown's Ranch annually to see this unique operation. They have had visitors from all fifty states and twenty-four foreign countries. Gabe and Brown's Ranch have received many forms of recognition for their work, including a Growing Green award from the Natural Resource Defense Council, an Environmental Stewardship Award from the National Cattlemen's Beef Association, and a Zero-Till Producer of the Year Award, to name a few. Gabe has also been named one of the twenty- five most influential agricultural leaders in the United States. Gabe recently authored the book, “Dirt to Soil, One Family’s Journey Into Regenerative Agriculture.” He is a partner, along with Ray Archuleta and Dr. Allen Williams, in Understanding Ag LLC. He is also an instructor for Soil Health Academy, which focuses on teaching others the power and importance of healthy functioning ecosystems. 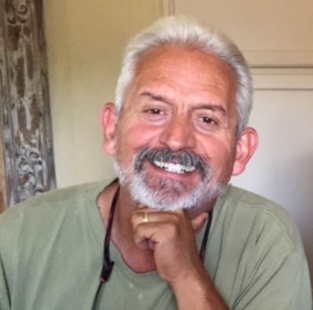 Ray Archuleta is a Certified Professional Soil Scientist with the Soil Science Society of America and has over 30 years experience as a Soil Conservationist, Water Quality Specialist, and Conservation Agronomist with the Natural Resources Conservation Service (NRCS). 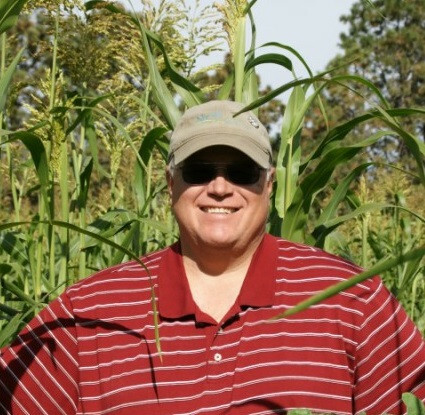 During his tenure with the NRCS Ray served in New Mexico, Missouri, Oregon, and North Carolina. Ray received his AS degree in Livestock Science from Northern New Mexico College and a BS degree in Agricultural Biology plus 30 hours of graduate work in soil related courses from New Mexico State University. He served in the Peace Corps for two years in Guatemala as a Livestock Specialist. After his retirement from the NRCS in 2017, Ray founded Soil Health Consultants, LLC, and Soil Health Academy, LLC, to teach Biomimicry strategies and Agroecology principles for improving soil function on a national scale. Ray also owns and operates a 150-acre farm near Seymour, Missouri that he operates along with his wife and family. Anyone that want to take their farm/ranch to the next level. This course will examine all aspects of regenerative farming and ranching, soil health, plant health, and animal health. Hands-on experience will be heavily emphasized. This is a power-packed three days that will change your farm or ranch should be and can be. Taught by highly experienced and regenerative farmers. Participants will work in teams to solve real-world grazing problems and sharpen their skills.